Since the beginning of the shotcrete process development, advancements in shotcrete technology have increased dramatically because of the trusted relationships between the industry and the research community. Equipment technology for the sprayed concrete industry was first developed in the early 1900s. Carl Akeley, a famous hunter and professor, devised a method for spraying plaster onto a wire frame for taxidermy purposes. 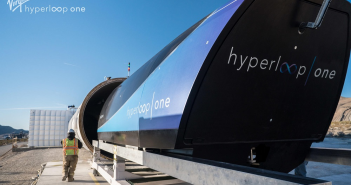 Using compressed air, dry material was pushed through the nozzle of a gun-like device, where it was wet with water as it was blown onto a frame. The outcome was a strong, thick plaster coating that didn’t slump from the frame or set before being fully placed. The equipment was subsequently used to patch deteriorated concrete using a dry mixture of sand and cement. The results were excellent, and patents and trade names were applied for in 1910 for the new “Cement Gun” and the “Gunite” material it produced. This dry-process technique was utilized for the next 40 years, until a new process was developed in the 1950s that involved the use of pressure tanks to force stiff mortar through a hose. This new wet-process became known as shotcrete. 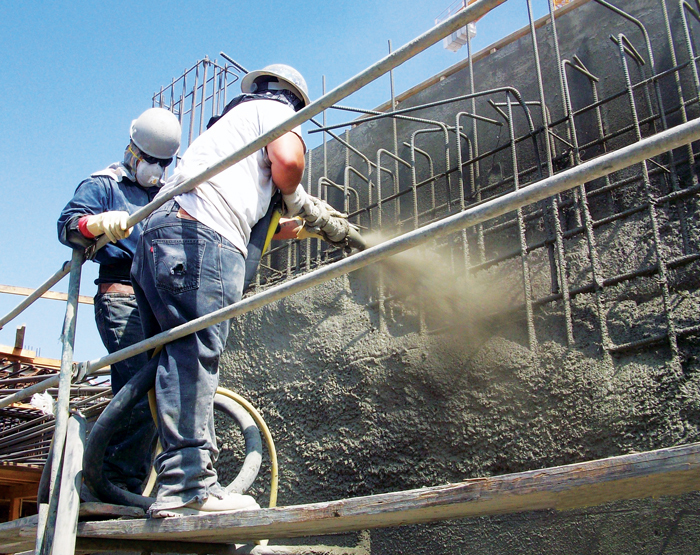 Shotcrete is defined as more of a process than a material or a product. Before you choose a piece of equipment for a job, you need to understand the different processes used in shotcrete placement. Shotcrete’s high strength, durability, low permeability, excellent bond and limitless shape possibilities can be achieved with either the wet- or dry-process, making it superior to high-quality conventional concrete. 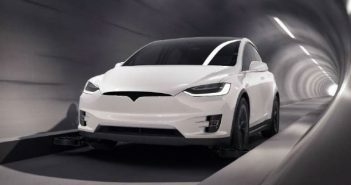 Both the wet- and dry-processes have been made almost interchangeable by advancements in both material and equipment technology over the years, with each still touting their own benefits. 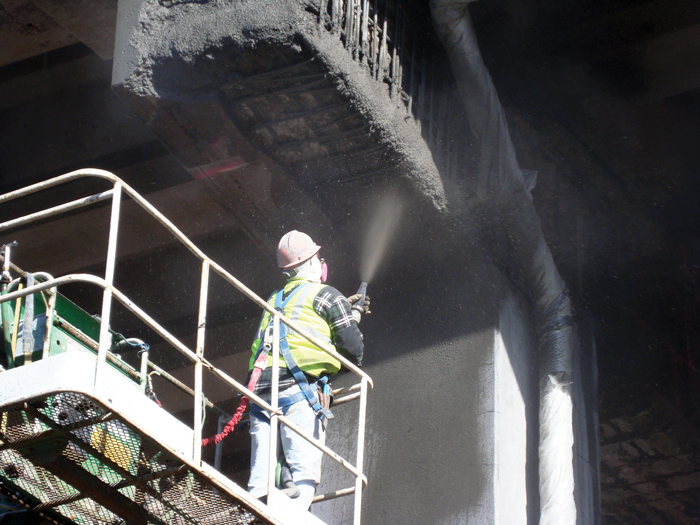 The dry-process entails first placing pre-blended dry or semi-dampened materials into the shotcrete equipment’s hopper, which is subsequently metered into a delivery hose. Then, compressed air conveys material at high velocity to the nozzle, where water is added. Lastly, the material is consolidated on the receiving surface by the high-impact velocity. Easy setup, shutdown and cleanup. Conveying distances from the gun can be up to 1,000 ft horizontally or 500 feet vertically. The wet-process includes first thoroughly mixing and introducing all ingredients, including water, into the shotcrete equipment. Then, wet material is pumped to the nozzle where compressed air is introduced to provide high velocity for placement and consolidation of the material onto the receiving surface. 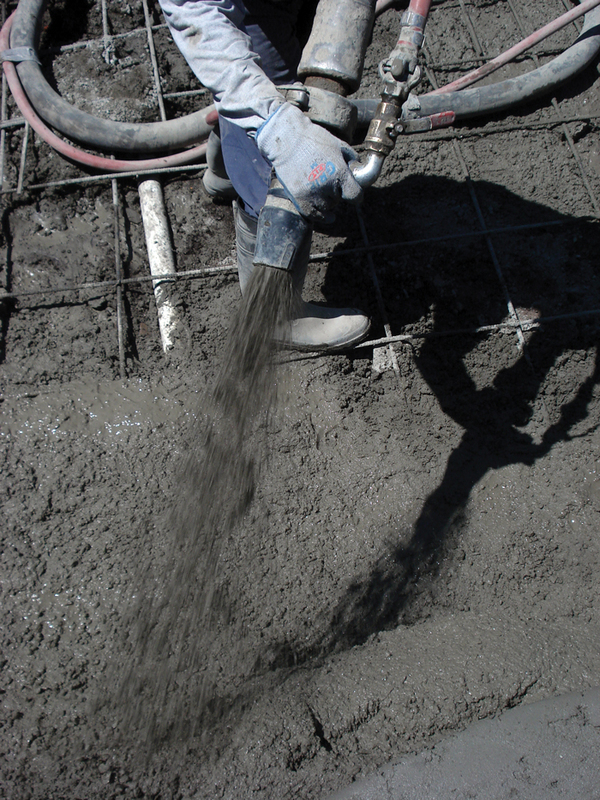 Most wet-process shotcreting is done with ready-mixed concrete. The mix design and consistency of supply are very important in order to provide a mix with the workability or plasticity to be pumped through a small-diameter hose. Little or no formwork is required. Cost-effective method for placing concrete. Ideal for irregular surface applications. Allows for easier material handling in areas with difficult access. Rate of application is higher. The type of process for a specific job is usually determined by economics, availability of material and equipment, site access, and the expertise and preference of the contractor. Repair and restoration of bridges, parking garages, dams and reservoirs, seismic retrofits, sewers and marine structures. New construction for foundations, tanks and domes. Architectural landscaping, such as zoos. 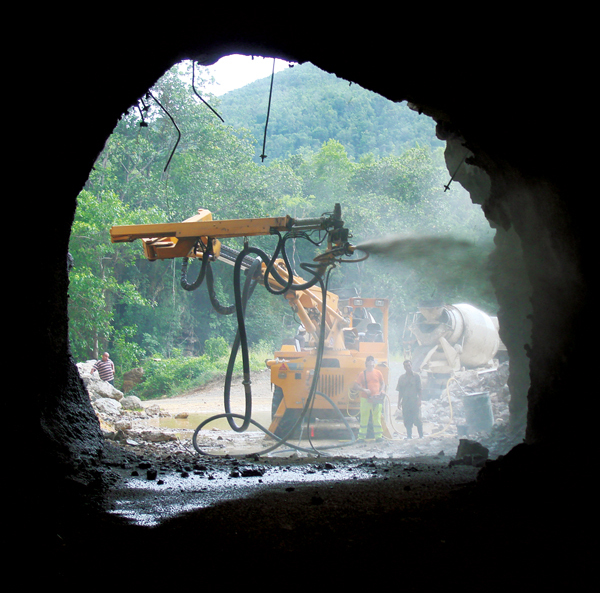 A vast range of equipment can be used to place shotcrete, including: gunning machines, pre-dampeners, dosing pumps, pumps, combination mixer-pumps, mixers and nozzle carriers. Some equipment is used for wet-process and some for dry-process. 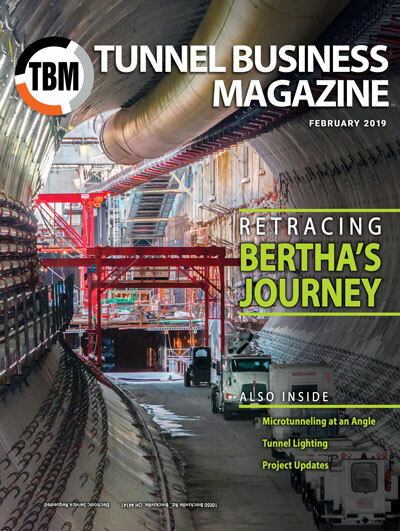 In recent years, it has been made even more apparent the more applications one piece of shotcrete equipment can handle, the better for a company’s bottom line. With the “more bang for your buck” attitude most in the industry have today, its no wonder multi-faceted pieces of equipment are in demand. Another trend making waves in the industry today is shotcrete pumps with built-in accelerator pumps. It has always been commonplace for admixtures to be used on the East Coast and regular concrete only on the West Coast. More and more people on the West Coast are now beginning to use admixtures. As we see the use of admixtures continue to increase across the country, so too will we see the need for shotcrete pumps with built-in accelerator pumps increase. These pumps will handle abrasive fluids with little wear since only the hose and hose inserts are in contact with the material being pumped. The hoses within the pump’s casing provide high levels of volumetric accuracy for sampling, transfer and metering applications, as well as the ability to pass solids in the material being pumped. There are many different pieces of equipment in the industry today that can be used on a variety of your shotcrete jobs; the trick is to first understand what is needed from your job, then determine what is needed out of your equipment that will be placing the shotcrete. From there, you can choose the equipment that is the best fit for your application. specializes in dry- and wet-process shotcrete equipment for the refractory, underground, mortar and civil industries.